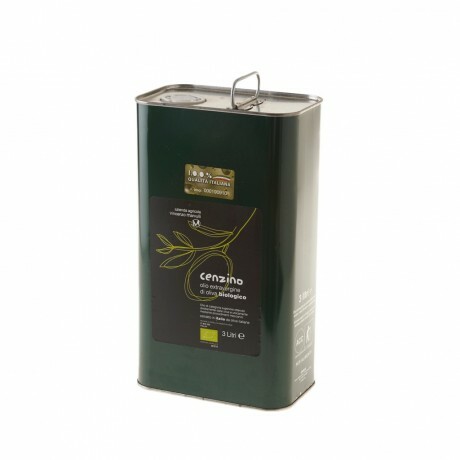 Home>Browse All>Food cupboard>Oils & dressings>Olive oils>Organic Extra Virgin Olive Oil "Cenzino"
This olive oil has just been named as one of the top 25 extra virgin olive oils in the world! Giovanni Marvulli’s 'Cenzino' extra virgin olive oil from Matera, Basilicata is both healthy and full of flavour averaging almost three times the polyphenols of typical extra virgin olive oils (see our chart below). A certified organic oil, fruity with a distinct almond after taste and an elegant aroma, wonderful on salads, cooked vegetables, fish and seafood or simply drizzled on your crusty bread or bruschetta. Acidity 0.40%, 0.16% Peroxides, Maximum of 20 allowed.